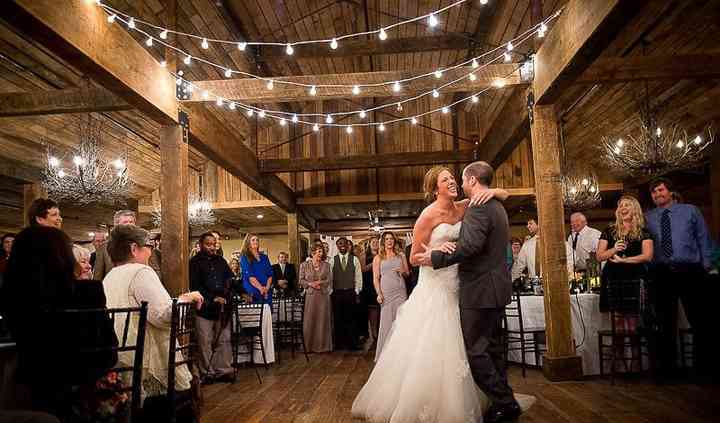 Memphis wedding venues are a popular choice for Tennessee couples. From historic Beale Street to Graceland, Memphis has plenty of event spaces for any type of wedding. Whether you’re an Elvis fan or are simply hoping for...Read more a site with Southern charm, these Memphis wedding venues take the cake when it comes to creating a rustic and romantic setting for vows and celebrating. With its Southern charms and ties to the music industry, Memphis, Tennessee, is an exciting place to tie the knot. Whether you and your partner are lovers of the blues or are inspired by the natural beauty of the Mississippi River, you'll find the city offers something for everyone who enters it. 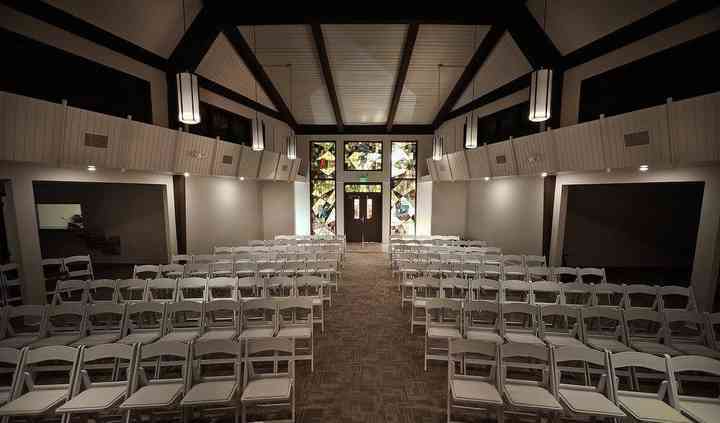 Looking for wedding venues in Memphis should be an exciting activity for you and your fiancé(e). After all, there are tons of options to choose from that will delight any engaged couple. There are traditional choices such as conference centers, ballrooms and hotels, as well as more contemporary settings like wineries, botanical gardens and grand mansions that welcome wedding parties and their guests. For lovebirds looking to incorporate music into their Big Day, seek out music halls, local jazz clubs or even the wedding chapel at Graceland, the former home of Elvis Presley. The average wedding in Memphis costs around $30,000, with the wedding venue consisting of 50 percent of your total budget. Tour multiple venues before deciding on which one is right for you and putting down a deposit from yourwedding budget. Before you can saunter down the aisle to your favorite soulful song, your out of town guests need to arrive in Memphis. The Memphis International Airport is the closest travel hub, and is 11 miles southeast of the city. Once you get to downtown Memphis, you can expect hotel rates around $120 a night. For those couples throwing large soirees, look into reserving ahotel block that can accommodate most of your friends and family. Is anyone in your wedding party curious to see even more Southern music history? Advise them to take a day trip to Nashville, Tennessee, which is 212 miles east of Memphis. The trip will take about three hours with no traffic, so it might be best accomplished a few days before or after the nuptials. Tennessee is known for experiencing high temperatures and humidity during the summer months, but it still hosts all four seasons. Many couples choose to tie the knot in Tennessee during the fall, when wedding photos will be decorated with autumnal foliage and rosy cheeks. Winters in Memphis are quite cold, with temperatures in the 30s and 40s, and several inches of snow between December and February. Things start to heat up in the springtime as more tourists arrive and flowers burst into bloom. July and August are known for being quite hot, with high temperatures in the 90s. There are beautiful wedding venues that can be enjoyed any type of year, but prepare for the weather so you and your guests are comfortable. Thinking about tying the knot in Tennessee makes you want to croon a soulful song with the best of 'em. But before you start thinking about your first dance, use theplanning tools available here on WeddingWire. Coordinating your wedding day is simple with the help of our organizational tools. This way you can worry less about logistics and more about finding something blue for your Big Day.